People seek to declaw their cat without really know what the procedure entails. 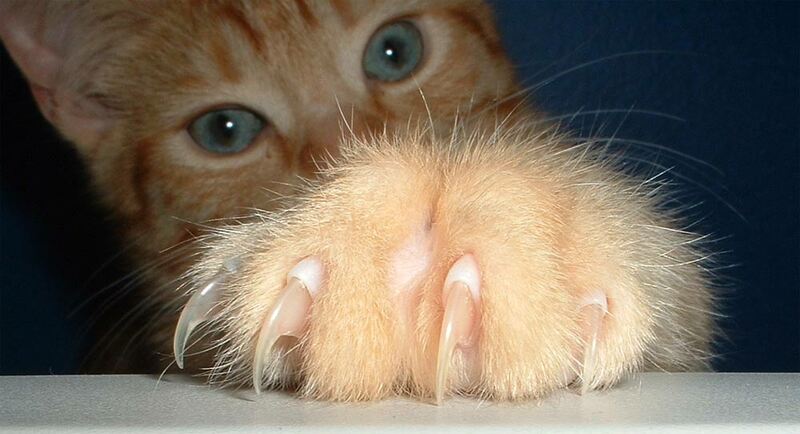 Below you will find information that you need to know before declawing your cat. Cats’ claws are a vital part of their arsenal for both offense and defense. They use them to capture prey and to settle disputes among themselves as well as with other animals and people who are hurting, threatening or annoying them. In addition, a cat who is attempting to climb to safety uses her claws to grip a surface and hold on. As part of their daily rituals, cats instinctually pull the claws on their front paws through surfaces that offer resistance. Explanations for this behavior include that they are marking territory, exercising muscles normally used in hunting, relieving stress and removing worn sheaths from their nails. Cats who live outdoors favor logs and tree trunks for this purpose, but indoor cats frequently choose upholstered furniture and carpets to scratch, causing a great deal of damage to household furnishings and to their relationships with their guardians. People often mistakenly believe that declawing their cats is a harmless “quick fix” for unwanted scratching. They don’t realize that declawing can make a cat less likely to use the litter box or more likely to bite. Declawing is a common misconception where people think that it is a simple surgery that removes a cat’s nail. However, this is not the case. Declawing, or onchyectomy, is the amputation of the last digital bone, including the nail bed and claw, on each front toe. If the surgery is performed correctly and the entire nail bed is removed, the claw cannot regrow, and the procedure is considered a permanent solution. The surgery involves the risk of anesthetization, excessive bleeding and postoperative complications, including infection, and is accompanied by severe pain that may last from several days to much longer unless appropriate analgesia is provided. Post-operative care and the length of time the cat must remain in the veterinary hospital depend on how the surgical procedure is performed and the skill of the surgical team. Cats will develop behavioral issues including biting and urinating or defecating in unwanted areas outside of the litter box. Declawed cats with these behaviors are more likely to go to the pound, where an estimated 70% will be euthanized (killed). The pain of declawing sometimes causes cats to be reluctant to walk or play, and as a result, owners sometimes neglect them or mistreat them. If you are worried about cats scratching your furniture, you can simply train kittens to use a scratching post and allow nail trims. The ideal time to do this is when the cats are about 8 weeks old. Regular nail trimming should help prevent damage to furniture. The cat’s claws are clear, so it is easy to avoid accidentally trimming too deep and getting the quick. Click here to see the guide to trimming a cat’s nails. Nail caps called Soft Paws® or Soft Claws® can be glued painlessly to a cat’s claws to prevent damage due to scratching. 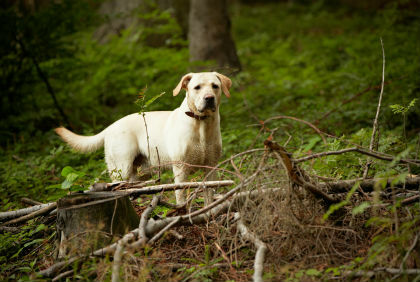 These items can be purchased at pet supply stores or through your veterinarian. Double-sided Sticky tape like Sticky Paws® can be applied to furniture help deter a cat from scratching that surface. When the cat goes to scratch there, the tape feels funny to their paws and they learn not to use that surface anymore. This entry was posted in Pet Health and tagged alternatives to declawing, cat health, declawing cats, onchyectomy on February 19, 2013 by Belkis Cardona-Rivera.